Drone racing is still in its infancy, but it's getting bigger every single day. High performance drone racing YouTube channel Rotor Riot has hired top drone pilot Tommy Tibajia as operations manager. Tibajia, who placed third in the inaugural DR1 Invitational presented by Mountain Dew®, became the first drone pilot to receive a corporate sponsorship in May and has competed in the world’s premiere drone races. Prior to his involvement in Rotor Riot, Tibajia worked as a DJ and business consultant. He discovered a dormant passion for first person view (FPV) flying in 2013, starting his own YouTube channel (UmmaGawd) to share footage from his flights. 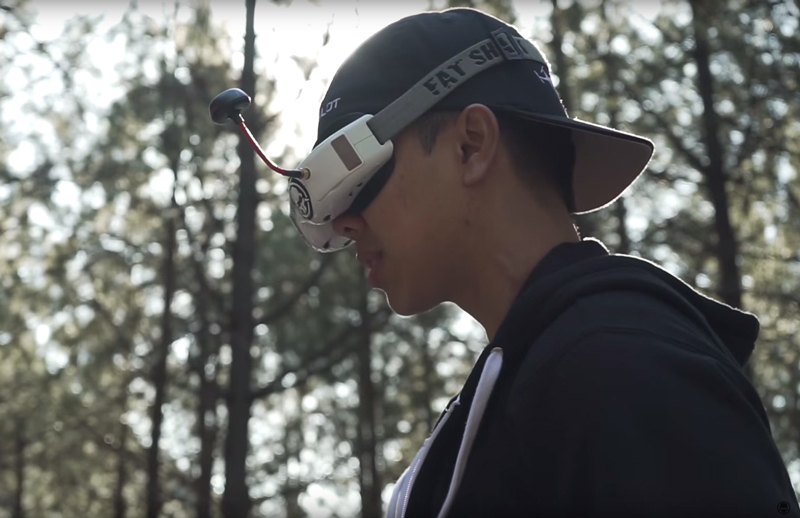 As Tibajia competed in more events, he crossed paths with well-known members of the FPV drone industry—including Flite Test founder and Rotor Riot executive producer, Chad Kapper. In his new role as operations manager, Tibajia will oversee the day-to-day operations of Rotor Riot’s online store and YouTube show. His responsibilities will include product research and development and cultivating strategic relationships within the FPV drone industry. In addition, Tibajia will continue to compete in drone racing events and serve as a host on Rotor Riot’s webshow. Rotor Riot is an online show that explores the world of high performance drone racing, freestyle, and commercial applications through the eyes of the world’s top influencers in order to grow the FPV multirotor hobby and sport. The show features the best FPV multirotor pilots in the world pushing the technology to its limit. Rotor Riot takes audiences on an adventure that connects and inspires through high performance multirotor technology. Visit http://www.rotorriot.com, http://www.facebook.com/rotorriot and http://www.youtube.com/c/rotorriot for more information. Tommy Tibajia races a drone during a Rotor Riot episodeNew Rotor Riot Operations Manager Tommy Tibajia, also known as Ummagawd, races his drone through the woods.